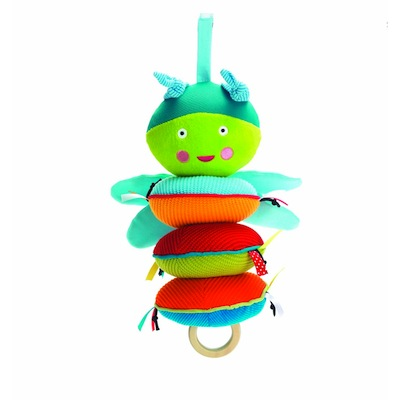 The Soothing Sound Bug is a great stroller and car seat toy. It`s full of activities and entertainment. Simply pull the wooden ring on the bug, and Brahm`s Lullaby will begin to play. It also has ribbons and paper wings, which are great for little hands to grasp and is able to be attached to most strollers and carriers.